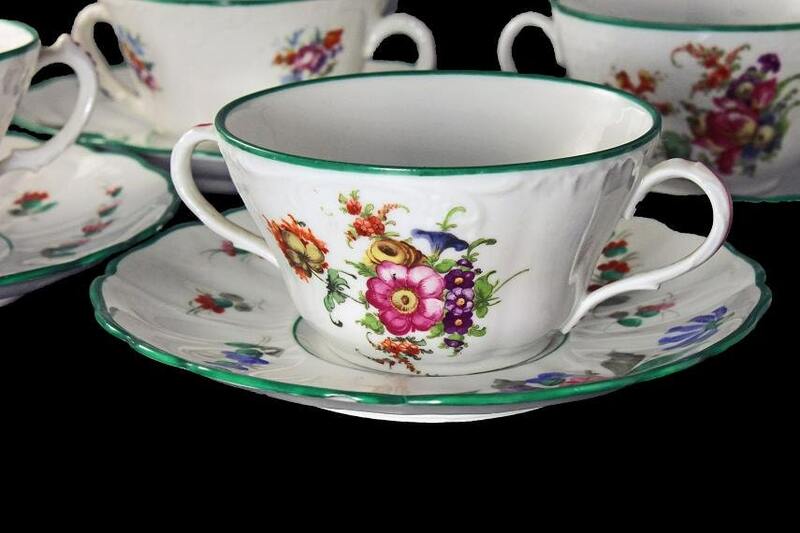 A gorgeous set of four antique bouillon cups and saucers by Saxe made in Austria. The cups have two handles and each one has a matching saucer. 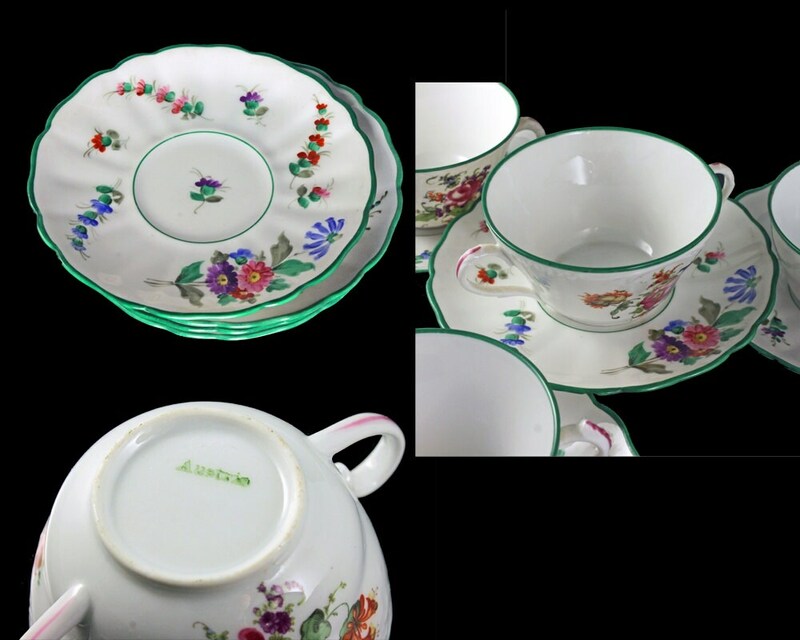 The pattern is in a colorful floral with a green edge on the cups and the saucers. 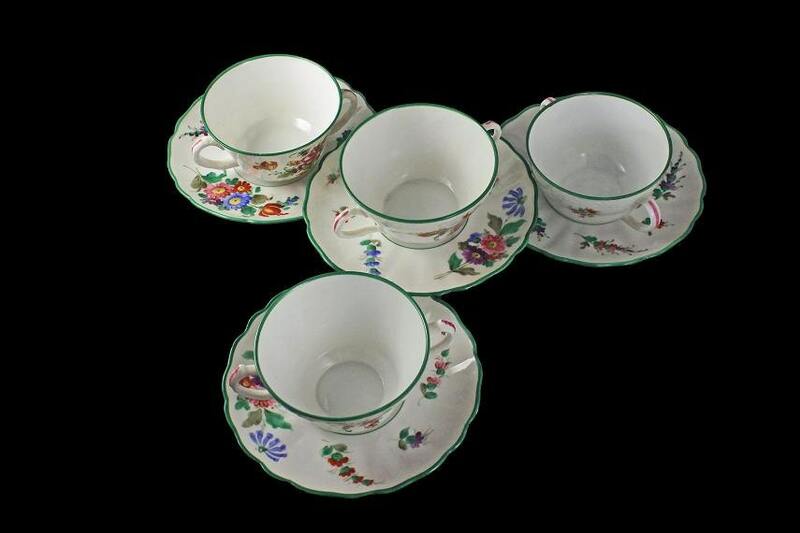 These cups are used when a hostess wants to serve something more filling than just tea and yet not a thick soup. A perfect way to start a meal. This would be wonderful set on you dining room table. 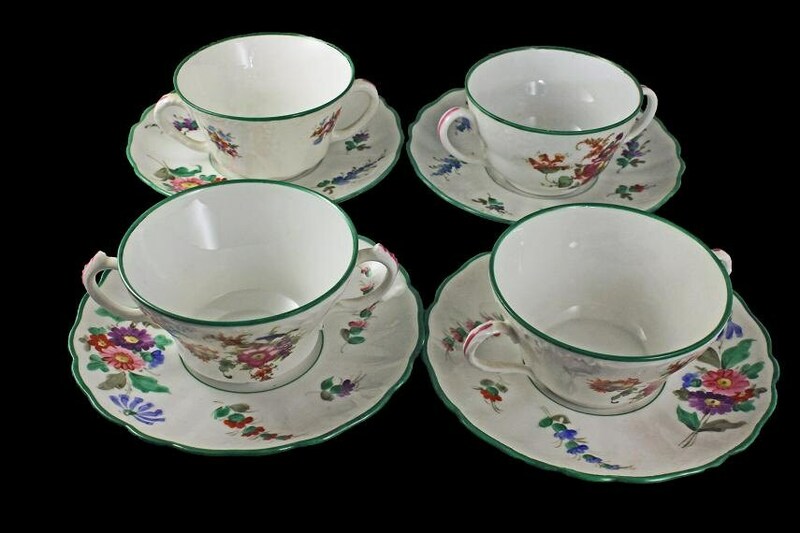 These cups and saucers are very thin and delicate. 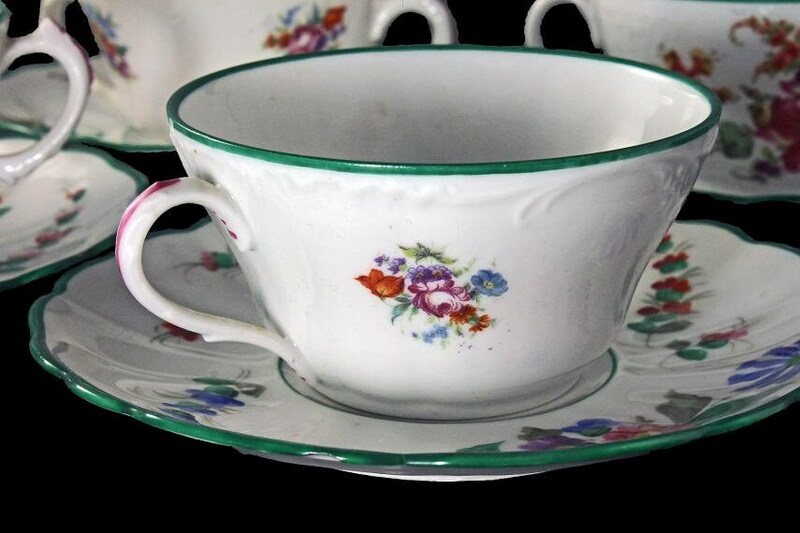 This antique set is in excellent condition. There are no chips, cracks or crazing. A perfect set to entertain guests or to treat yourself like a king.